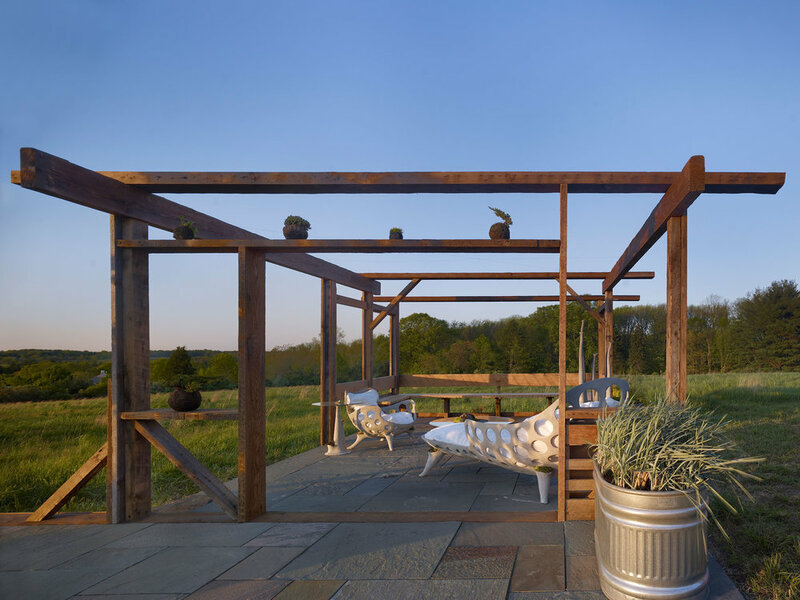 MDB provided design, carpentry , and lumber for an outdoor pavilion showcasing concrete furniture by sculptor Robert Cannon. The structure incorporates material from a half dozen area sites. The patio was artfully incorporated by Buena Vista Landscaping and Atlock Farms contributed a variety of plantings.